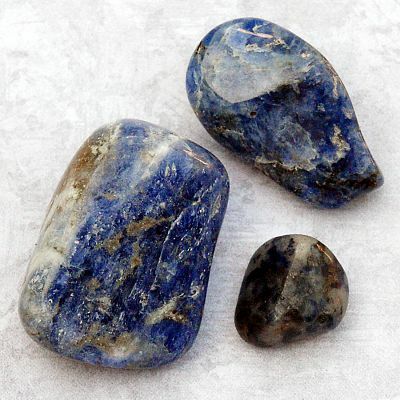 - A set of three tumbled sodalite gemstones. Stones will vary in size and shape, but most are in the range of 3/4" to 1 1/4". 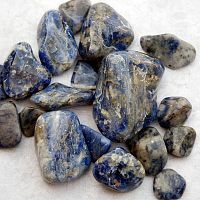 Sodalite is blue with streaks of white. Use this stone to promote clear thought, wisdom, and calm reasoning. It is said to reduce stress and increase self-esteem. Do you have any other questions about our Sodalite? Large, high quality stones. Very happy with them! These stones simlpy call to me and ask if they can come and make my home their own. I guess its the colors of blue.